dried beans for most of my cooking was a change I was making. to prepare, you just need a little to think ahead. Beans are a magical food, full of flavor, protein, fiber, and nutrition. For being so good for you, it is hard to believe that beans are so inexpensive and easily accessible at all grocery stores. Dried beans, with their long shelf life, are certainly more economic and healthier than the canned counterpart. However, they do require a bit of knowledge and know how to cook them properly. Below are some basic bean cooking tips. Storing Dried Beans: Dried beans can be stored in their original packaging, plastic or glass storage containers for up to one year, if stored in a cool dry place. For food storage purposes, it is best to store dry beans in a sealed can. If stored in this fashion, dried beans for food storage will keep for up to ten years. Standard Soaking: Altitude, humidity, freshness and the variety of beans can all affect the overall outcome of cooked beans. All dried beans, except lentils and split peas, require soaking the beans prior to cooking, to yield the best and most consistent results. Before soaking, pick through dried beans removing any beans that are broken or discolored and rinse beans under cold water. Pour beans into a large bowl and cover with at least two inches of water. Cover, place in refrigerator and allow beans to soak for 6-8 hours or overnight. Quick soaking: Rinse and pick through beans as directed for standard soaking. Then place beans in a large pot and cover with at least two inches of water. Heat beans to a boil and cook for 10 minutes. Cover, turn off heat and let beans soak for 1 ½-2 hours. Cooking: After soaking, dried beans can be cooked a variety of ways. These popular cooking methods include cooking on the stove top, in a pressure cooker or slow cooker. After soaking the appropriate time, dump soaking water and rinse beans. Place rinsed beans into a large stock pot, slow cooker, or pressure cooker and cover completely with 2-3 inches of fresh water. Cover and cook on low for 8-10 hours or on high for 4-6 hours in the slow cooker; 1-3 hours on low heat on the stove top, or for 8-10 minutes in a pressure cooker. Red Kidney Beans: Dried red kidney beans contain a natural toxin called Lectin, which can be highly dangerous if not cooked properly. To properly and safely cook dried red kidney beans, rinse and soak beans for 8-18 hours. After soaking, discard water and rinse beans. Add beans to large pot and bring to a full boil. Boil for at least 10 minutes before continue cooking per directions listed above. 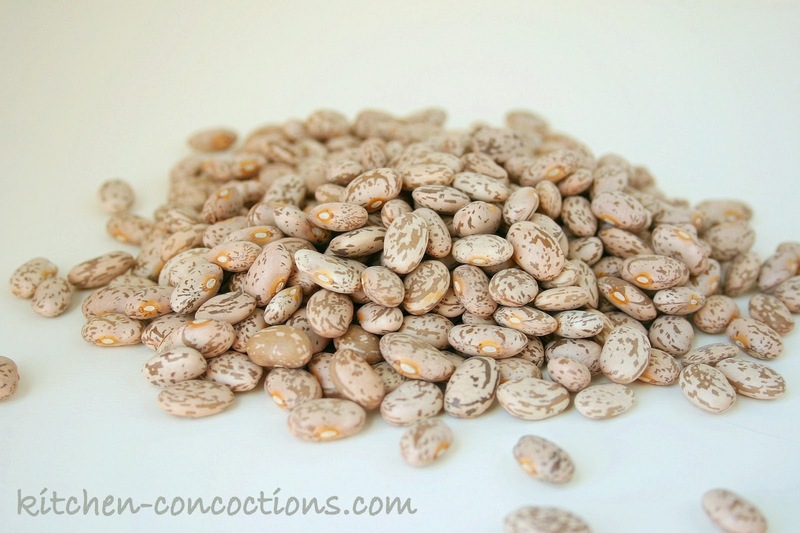 Storing Cooked and Presoaked Beans: Dried beans that have been soaked and drained can be frozen, for 2-3 months, and cooked later. If not freezing, beans that have been soaked should be cooked immediately. Cooked beans can be drained and stored in the refrigerator for 3-4 days. When storing cooked beans, portion beans into standard servings and place in freezer safe packaging. 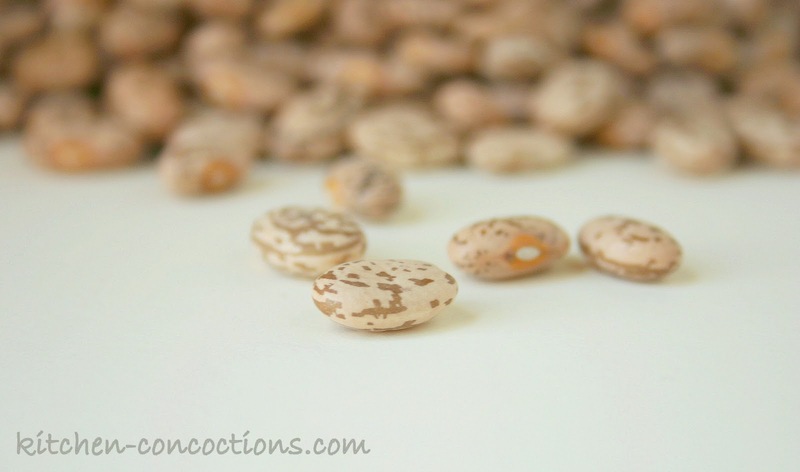 If freezing, precooked beans will keep for up to 6 months. Keep in mind if freezing cooked or quick soaked beans, allow beans to cool completely before placing in the freezer. To thaw, place frozen beans in refrigerator and thaw for 6-8 hours, or use defrost setting on microwave. Using: Once cooked, beans are a versatile food that can be enjoyed in soups, burritos, salads, chilies, or simple side dishes. Use 1 ½ cups cooked beans per 1 (15 ounce) can of beans called for in a recipe.